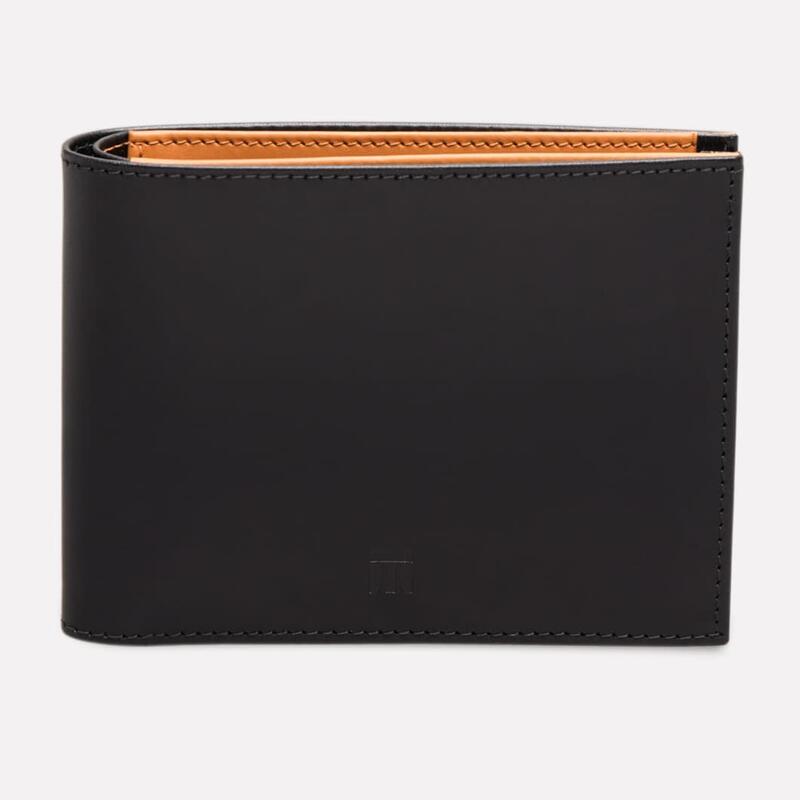 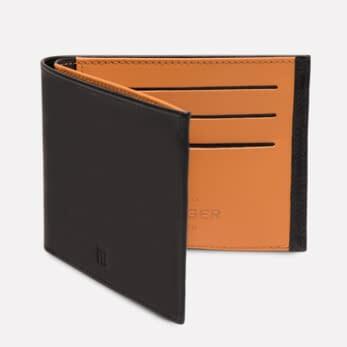 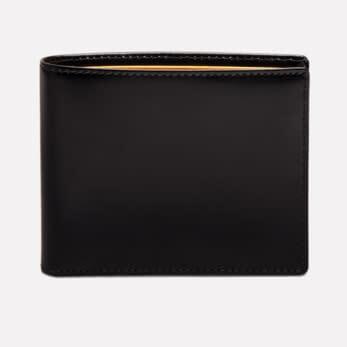 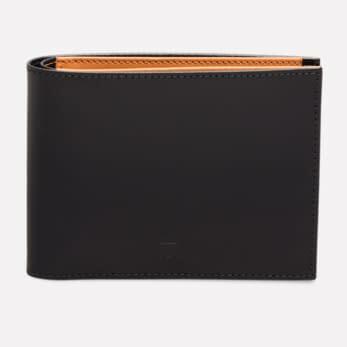 This black and tan contemporary billfold wallet was designed in collaboration with the London design agency, PearsonLloyd, and has an innovative take on the way credit card pockets are made. 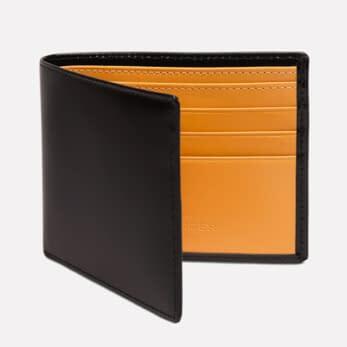 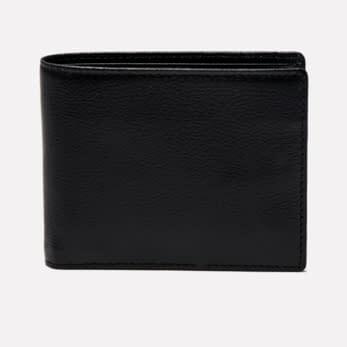 By cutting out the opening, rather than slitting through the leather, it is much easier to put cards into the pocket while still being held in tightly once in the pocket. 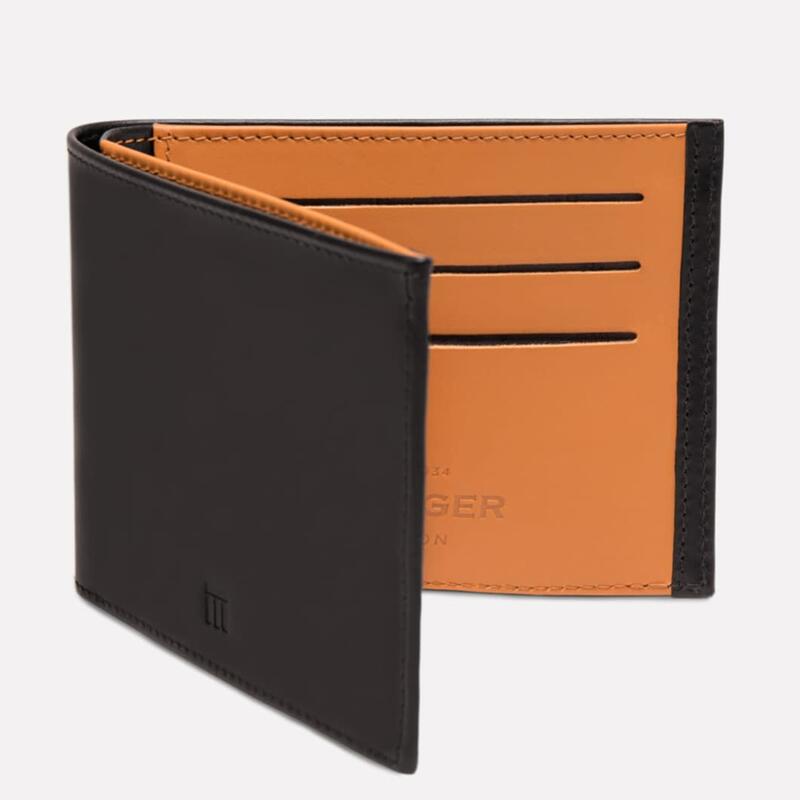 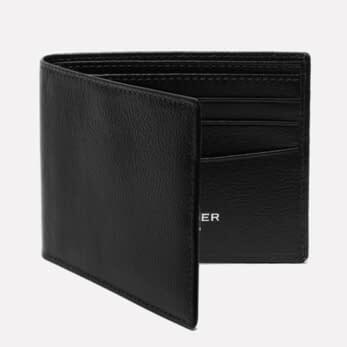 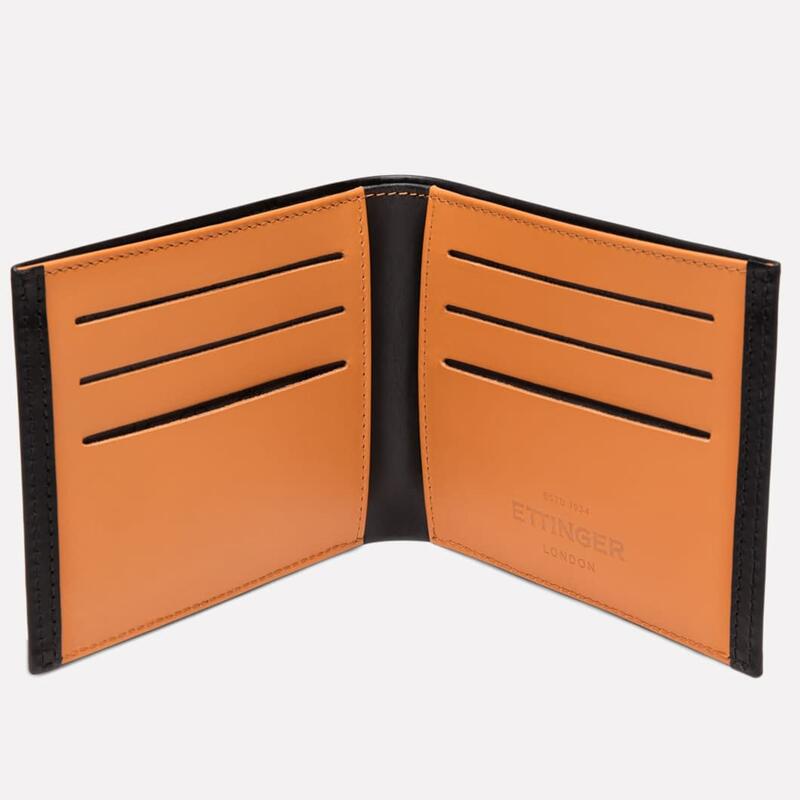 These cut-outs also provide an undeniably contemporary aesthetic which, combined with the ettinger jacquard silk linings and contrasting leathers gives this wallet a unique style.